We all love our motorcycles, right? Leech & Hicks President, Matt Hicks, has ridden motorcycles his entire life and loves helping his fellow motorcycle enthusiasts through their insurance process! At Leech & Hicks, we feel we have the edge on motorcycle insurance, not only because of our understanding of insurance, but from our knowledge of motorcycles and riding in general. Today’s market is very different from just a few years ago. We will discuss many options about your particular motorcycle and any customized equipment you may have added. Call us today!!! With so many types of motorcycles and coverage to choose from today, we are here to help you outfit your policy to provide you with exactly what you to need to ensure you stay protected . . . no matter what arises. Liability insurance includes bodily injury and property damage protection and is almost always required. If you ever cause an accident with your motorcycle, liability coverage helps protect you from having to pay others’ injury or repair bills. When deciding how much liability insurance to get, a good rule of thumb is to get as much protection as you can comfortably afford. It’s also important to know your options and choose what’s right for you. While liability is all about covering the other driver’s expenses after an accident, collision coverage helps repair or replace your motorcycle if you cause an accident. Comprehensive coverage, on the other hand, covers a non-collision incident, such as a stolen motorcycle, vandalism, fire, etc. 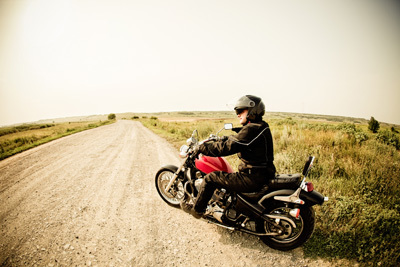 Comprehensive coverage helps repair or replace your motorcycle if an incident occurs. Let Leech & Hicks do the shopping and explain the coverage for you. Call us and let’s talk motorcycles!